* Disclaimer: This is a testimony of sorts. While I can’t say that I have made the transformation from Consumer to Contributor, I can share how Derwin Gray’s book Limitless Life opened my eyes to my need to become a more selfless Christian. I have been in a slump lately. Yes, I am still doing all the things I am supposed to be doing, but … Continue reading Are You a Consumer or a Contributor? Forever Loved, Accepted, and Blessed the Catalyst for Obedience? 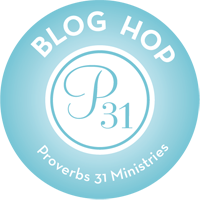 Friday is coming….Friday is coming…Well, until it gets here it looks like we will continue on with the Proverbs 31 bible study on Limitless Life: You Are More Than Your Past When God Holds Your Future by Derwin L. Gray. I am going to be real honest here: I almost skipped this week. Now, don’t get me wrong, I did my study, I just didn’t … Continue reading Forever Loved, Accepted, and Blessed the Catalyst for Obedience? Beyond the Book Review: Not A Fan: Is Jesus My One and Only? Luke 14: 25-34: 25 A large crowd was following Jesus. He turned around and said to them, 26 “If you want to be my disciple, you must hate everyone else by comparison—your father and mother, wife and children, brothers and sisters—yes, even your own life. Otherwise, you cannot be my disciple. 27 And if you do not carry your own cross and follow me, you … Continue reading Beyond the Book Review: Not A Fan: Is Jesus My One and Only? Beyond the Book Review: Not a Fan: Do you know about Jesus or do you know Jesus? Happy, Happy Tuesday to us all! God is so good! The sun is shining, the birds are singing, and life goes on…and so does our quest for diagnosing fandom. If this is your first time joining us, please note we are in Chapter 3 of Not a Fan by Kyle Idleman doing a little study on the fans and followers of Jesus Christ. Please click … Continue reading Beyond the Book Review: Not a Fan: Do you know about Jesus or do you know Jesus? Beyond the Book Review: Not a Fan: Interference! Yesterday we were talking about how “belief” alone will not make you a follower of Jesus. It is what you do with that belief that determines if you are a fan or follower. “Jesus does not hold back with Nicodemus. Following Jesus would require a commitment that would cost Nicodemus a great deal. As we look at what it means to follow Jesus, this become … Continue reading Beyond the Book Review: Not a Fan: Interference! Happy Thursday to you all! I pray you all are enjoying our in-depth study of Kyle Idleman’s book Not a Fan. If you are not enjoying it, I pray at least it is making you think and evaluate your relationship with Jesus. Yesterday I asked you: Have you made a decision for Jesus or have you committed to Jesus? Doesn’t seem like there is much … Continue reading Beyond the Book Review: Not a Fan: A Decision or a Commitment? Beyond the Book Review:Not a Fan: What’s My Cost? Today we will continue on with my Beyond the Book Review Series on Not a Fan by Kyle Idleman. Last week we began to look at what it really means to be a follower of Jesus Christ. Many of us may claim to be followers, but when push comes to shove, a lot of us are merely fans. [ A fan, as defined in Chapter … Continue reading Beyond the Book Review:Not a Fan: What’s My Cost? Beyond the Book Review:Not a Fan: Fan or Follower? Welcome back! I am hoping you all had a great weekend and your week is starting off well. Last week we began our discussion of the book Not a Fan by Kyle Idleman. The premise of the book is whether or not we are truly followers (and not just fans) of Jesus Christ. Chapter One (Con’t) Let us begin this week by defining the term … Continue reading Beyond the Book Review:Not a Fan: Fan or Follower?